With the U.S. identifying Pakistan as one of the "terrorist safe havens", Pakistan Senator Mushahid Hussain has accused the State Department of wanting to scapegoat Pakistan for their failures in Afghanistan. Citing the U.S. State Department report on Terrorism 2016, Hussain said there has been an increasing international pressure since earlier this month on battling terror in the country and within the South-east Asian region. The Senator made these remarks during a public conversation programme titled "Media Diplomacy: Challenging the Indo-Pak Narrative" at the Atlantic Council in Washington D.C. on Monday. Former broadcasting & information minister of India Manish Tiwari was also present at the event. The Donald Trump administration has retained Pakistan's name in its list of nations and regions providing "safe havens" to terrorists. In its annual 'Country Report on Terrorism', as mandated by the Congress, the State Department said that Lashkar-e-Taiba (LeT) and Jaish-e-Mohammad (JeM) continue to operate, train, organise and fundraise inside Islamabad and Pakistani military and security forces undertook operations against groups that conducted attacks within Pakistan such as Tehrik-eTaliban Pakistan. "Pakistan did not take sufficient action against other externally focused groups, such as Lashkar-e-Taiba (LeT) and Jaish-e-Mohammad (JeM) in 2016, which continued to operate, train, organise, and fundraise in Pakistan," it added. Country Reports on Terrorism in 2015 as well listed Pakistan as a safe haven for terrorist groups that includes Haqqani Network that hides in or operate from the Federally Administered Tribal Areas of Pakistan, a mountainous region along Pakistan's northwest border with Afghanistan. The National Action Plan (NAP) calls upon the government to "ensure that no armed militias are allowed to function in the country," although claims about the NAP's uneven implementation was a frequent feature in Pakistani media. As in 2014, Pakistan launched military operations to eradicate terrorist safe havens, although their impact on all terrorist groups was uneven. Some UN-designated terrorist groups, such as Lashkar e-Tayyiba (LeT) affiliates Jamaat-ud-Dawa and Falah-e-Insaniyat Foundation, were able to fundraise and hold rallies in Pakistan. LeT/JuD leader, Hafiz Saeed, who is also a UN-designated terrorist, was able to make frequent public appearances in support of the organization's objectives, which were covered by the Pakistani media, for much of the year, the report had said. 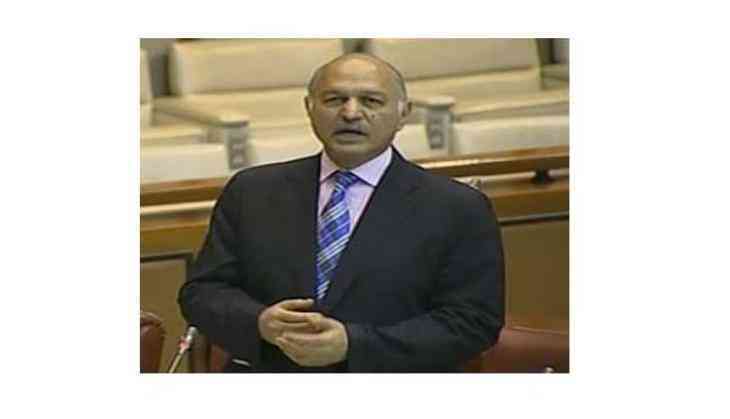 Pakistan Senator Mushahid Hussain U.S. Islamabad Atlantic Council Washington D.C.